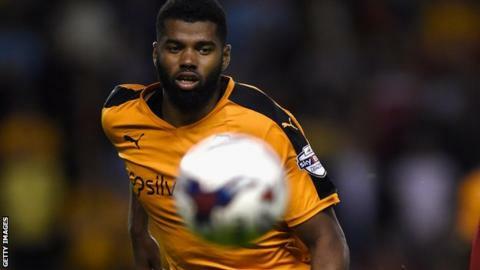 Wolves defender Ethan Ebanks-Landell says team spirit has been the key reason behind their recent improvement in results. The Molinuex club won all their three games over the festive period without conceding a goal to stay on the fringes of the Championship play-off picture. "We're all close in the changing room," Ebanks-Landell, 23, told BBC WM 95.6. "There's no-one getting on each other's backs, even in the tough times, and everyone's still together." Head coach Kenny Jackett has engineered a significant turnaround in Wolves' form after admitting their performances against Leeds and Sheffield Wednesday - in which seven goals were conceded - were not good enough. And Ebanks-Landell says they have tried to put things right after that poor run. "The gaffer got the back four together and we've done some more work and we're clicking on all cylinders now," he said. "We haven't conceded a goal yet and we don't know how we're going to react when we do but I'd like to think we'd react well. "Even when you could feel it on the pitch that we were lacking confidence, as soon as that game's done, we're on to the next." Wolves are currently 11th in the Championship, seven points behind Ipswich Town in the final play-off place.